In our original review of State of Decay we praised its gameplay and survival elements, but was disappointed with the plethora of glitches and technical issues that plagued the game. Overall, it was still an immensely fun zombie-filled playground. State of Decay: Year-One Survival Edition brings the game to the Xbox One along with the two expansion packs: Breakdown and Lifeline. There isn't much of a difference between Year One and the original version and the shift to stronger hardware would reasonably lead you to believe the game enjoys a graphical leap. Unfortunately, the changes are negligible, but hey, the resolution gets bumped up to 1080p! Visuals and resolution aside, what hasn't changed at all are the ridiculous amount of bugs, glitches, and technical problems. Sometimes, my teammates would get stuck on the map or completely disappear, forcing me to restart my game. Other times the game wouldn't load properly or horrible graphical pop-ups rear its ugly head. Chief among the issues I faced (and expected to be fixed on the Xbox One) is the framerate which would drop below 30 frames per second and make the game annoying to play. With all of the aforementioned technical struggles, State of Decay may not sound that appealing. Don't judge a book by its cover. On the surface it is a technical nightmare, but soon I found myself really caring about what I was doing in the game. I cared about my survivors and feared for their safety. There's something in this game that kept me wanting to play more. You start off as one of the many survivors roaming the city. You'll eventually meet other survivors and bond with them because relationships play a major role. Getting to know the characters led to a growing sense of attachment. Keeping your community happy isn't always easy. Survivor have their own personality quirks. Some may eat more than others, drink too much, or grow unreliable. Such traits ultimately force you into the unenviable role of exiling members as a means of saving resources. My favorite element about the game is its permadeath. If you die alongside a survivor, that person is gone for good. There are no checkpoints or restarts here. Such risks increase the intensity of battles to a crazy level. I literally was fighting for my life during each engagement. 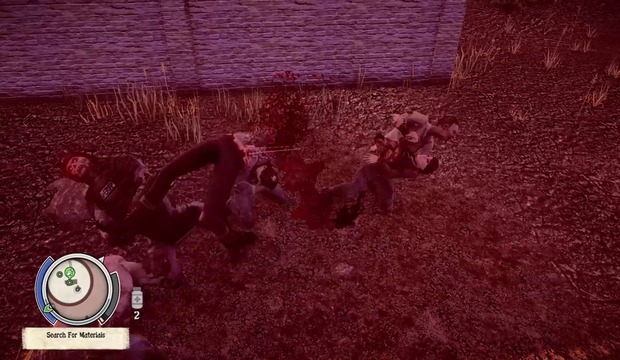 The game's combat system makes it extremely hard, if not impossible, to fight off zombie hordes by yourself. Your character's skills can be leveled up by performing certain actions. Stamina increases should you choose to scavenge the world instead of driving around. Scoring headshots with rifles increases aiming capabilities, while beating zombies to a bloody pulp ups melee weapon efficiency. I found the story to be a little to cliche for me, as the motivation for the characters is to escape the city and battling zombies and human survivors along the way. While individual side-quest I did find somewhat intriguing, the overall plot was too predictable and fell flat. As I said earlier this version of the game gives you access to both DLC packages. The Breakdown expansion pack is by far my favorite because it strips the game of story to focus on the survival elements I loved. The goal is simply to survive this world as long as possible. The second expansion, Lifeline, goes back to the story and puts the player in the boots of army survivors found in the main game and experience the chaos of a zombie apocalypse from their perspective. With the main story and both these two DLC packages there's plenty of content and countless hours in this version of the game. State of Decay: Year-One Survival Edition doesn't do much to standout from the original version of the game. Bugs, glitches, and other issues consistently drag down the experience but the sheer amount content, exhilarating survival elements, and solid gameplay saves the day leaving us with hours of fun inside this zombie playground. How do you think you’ll handle a zombie apocalypse? Will you see the march of the undead as an opportunity to take advantage of a lawless, broken society? Will you find compassion in the human spirit and work together with other survivors to keep calm and carry on? Go alone or find safety in numbers? Whatever the choice, you’ll get the chance to test your mettle against the zombie menace in State of Decay 2. Despite its age, the Gears of War: Ultimate Edition remaster proves the franchise still has gas left in its tank. Ori and the Blind Forest is an aesthetically breathtaking adventure. Immaculately detailed environments coupled with engaging gameplay, all driven home by an emotionally driven plot makes this journey one for the ages. State of Decay is an impressive open world zombie game that can actually rival blockbuster zombie games like Dead Island. The game is fifteen dollars on Xbox Live and if you are a huge zombie or horror fan than the game won’t disappoint. There aren’t a lot of survival games with these kinds of mechanics, let alone ones that actually work properly, so for being a downloadable game you get a lot of bang for your buck and get to have a fun time supporting the work of a small team .I know I will continue to come back to this game even after this generation has moved on and, with us being this late in the console cycle, and having an almost unlimited number of zombies games to choose from, that really says something.